Create Brand Awareness. Increase Business Presence. Be 5x More Memorable. Phone names are 13, 1300 and 1800 numbers that spell the name of the business through the alphanumeric keypad. They're a fantastic way of continually promoting the business name through the company's telephone number. Rather than remembering a sequence of numbers, customers only have to remember the business name. The numbers are sold by ACMA (Australian Communications and Media Authority) which manages and administers all the numbers. Business 1300 offers a FREE Search and Advice service to help you find the right phone name for your business. We'll search the ACMA database for an available number that best suits your needs, and then if you decide to go ahead, purchase it on your behalf. A phone name is 5 times more memorable than an ordinary number and will make your business stand out from the crowd and get remembered. Promote your business name every time a customer dials or looks at your phone number. There are many examples of phones names. Numbers like 1300 HILTON, 1300 PROGRESSIVE and 1300 WILSON are just some of the numbers used by leading companies to promote their name and ensure their number gets remembered. And if your exact business name is not available, there are other ways to incorporate it into a 1300 or 1800 number. A popular way is to put the number 4 before the name. For example, 1300 4 WILSON may be a good option. And even though the number is longer than 10 digits, it will still get remembered and the call will connect. When a number is longer than 10 digits, it simply means that the call connects before the full sequence is finished. There are many examples of a phone name being used by some of Australia's leading companies. Some of the examples are: 13 QUIT (Quit Line), 1300 LOADED (Loaded Technologies), 1300 OFFICE (Office Works), 1800 REFLEX (Reflex Paper), 1300 HILTON (Hilton Hotels), 1800 PROGRESSIVE (Progressive Insurance), 13 RAMS(Rams Home Loans), 1300 SHAVER (Shaver Shop), 1300 YELLOW (Yellow Express), 1300 MEDINA (Medina Apartments), 1800 HOGSTER (Hogs Breath Cafe), 13 MIDAS (Midas Auto Service), 1300 WILSON (Wilson Group), 13 BURBANK (Burbank Homes) and 13 RACV (RACV Insurance and Road Side Assistance). Research has shown that phone names are at least 5 times more memorable than ordinary phone numbers. There is no better way to ensure that your business is remembered through a phone number. Repetition is the key to ensuring your business name is remembered. Every time a customer dials your number they're also dialling your business name. It's a great way to keep on promoting your brand. It's even working for your business by just being displayed on your website or marketing material. Project an image of a business that's a serious player in the marketplace. A phone name adds a unique and professional touch to business branding. It stands out and makes an impact. Being more memorable, the numbers are proven to increase response rates from advertising and marketing activities. Create more effective business ads with a phone name. A business phone name is an excellent way to stand out from the crowd. It's a lot more unique than an ordinary phone number, adding a valuable point of difference to a business. Inbound numbers, including phone names, come with an extensive range of features and functions. They are designed to create an outstanding caller experience and improve the call handling process. Need Some Help Getting a Phone Name? Getting a phone name is easy. Our Free Search and Advice service is designed to help you search the ACMA database for the best possible number, giving you multiple choices to choose from. Once you choose the right number, we will purchase it on your behalf through ACMA. We do not lease numbers and the ROU (Rights of Use) is transferred to you and becomes your asset. This is important as the only way of having full control of the number is to be the ROU holder. Otherwise any marketing investment or goodwill created in the number may become someone else’s. We are the experts in helping businesses choose the right number. Call us on 1300 00 1300 or CLICK HERE to make an online enquiry. Why Choose a Smart Number? Phone names are a variation of ACMA smart numbers. They are a selection of easy to remember inbound numbers that also include phone words and numbers with highly memorable numeric patterns. There are over 1.5 million 1300 and 1800 smart numbers still available for purchase. And that means not only are you guaranteed to secure a great number for your business, you will also own the ROU (rights of use). So there are no ongoing lease payments and you have full rights to the number. Is a Phone Name Right for My Business? 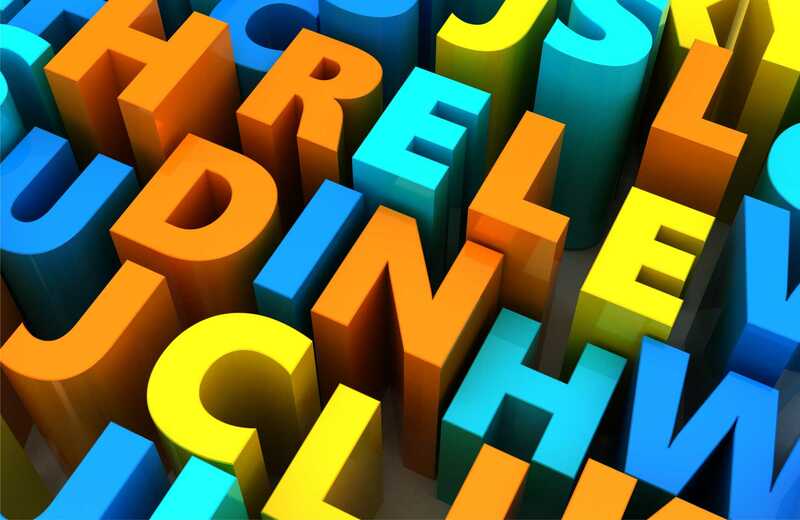 If your business name is extra long, hard to spell, or the number is unavailable, then you may want to consider a high impact numeric pattern instead. There is a huge range of smart numbers available within the same price range as phone names. If your focus is on promoting the range of products and services your business specialises in rather than the business name, then a phone word may be a better choice. If you’re planning to sell the business down the track and there is a chance its name will be changed, then a memorable number sequence may be a better option. Are you planning to run a variety of marketing campaigns and need multiple numbers? Do you need a set of numbers, each one allocated to a different part of the business?